I have been deciding what to do with a number of things. The first decision I made was to get an accountant to do my self assessment. Some crafters probably think the money could be spent elsewhere but as a dyslexic it's was one less thing to think about. Another decision I have made was to cancel my current Eshop website, this was for financial reasons. I can't believe it has been a year since I set it up. It has been good experience to learn about html, taking good clear photos, selling online & what doesn't work. Before Christmas I bit the bullet and did my first craft fair. It was good fun, successful and a learning process. It was a big decision for me to make but I am glad I did. Another thing I decided is to incorporate my love of Basketball with crafting and made some cufflinks. 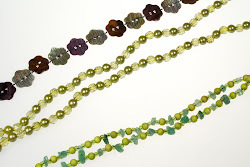 I also have been experimenting with Polymer clay, so watch this space for more handmade beads. 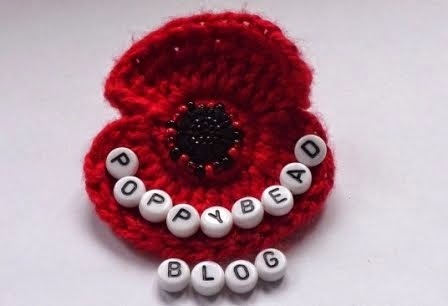 www.poppybead.co.uk will be back as soon as I make a decision I am happy with.